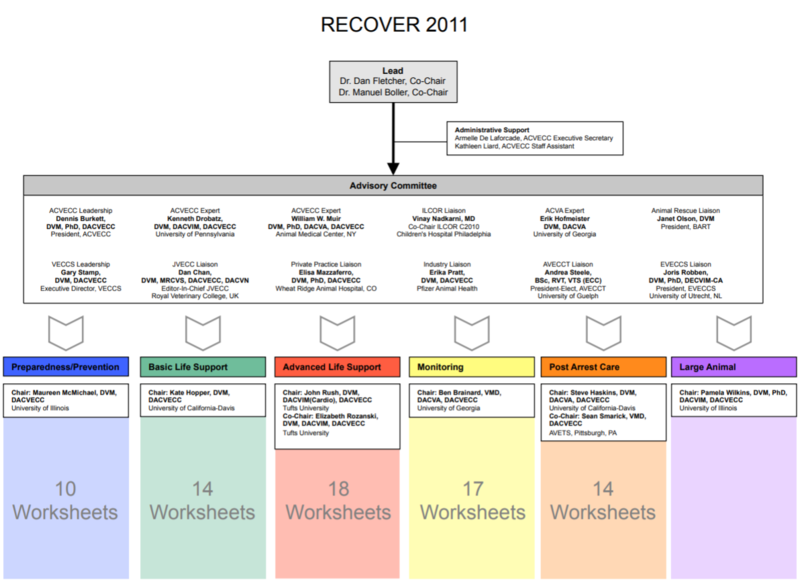 RECOVER is a collaborative initiative that systematically evaluated the evidence on 74 topics relevant to small animal CPR and generated 101 clinical CPR guidelines from this analysis. All primary contributors were veterinary specialists, approximately evenly split between academic institutions and private referral practices. The evidence evaluation and guideline drafting processes were conducted according to a predeﬁned sequence of steps designed to reduce bias and increase the repeatability of the ﬁndings, including multiple levels of review, culminating in a consensus process. Many knowledge gaps were identiﬁed that will allow prioritization of research efforts in veterinary CPR. The following paper describes the methodology used to develop the RECOVER veterinary CPR guidelines.